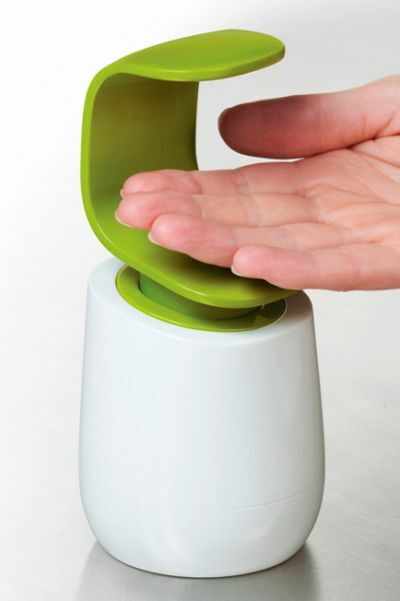 Rain Noe has a thoughtful little piece on Core77 about the problem of dispensing handwashing soap without getting the soap dispenser itself contaminated. He eliminates high-tech sensor based options as being infuriatingly unreliable - a problem from which they frequently suffer. Instead, he finds Joseph Joseph's C-pump, which uses the presumably-cleaner back of the hand. Sure, regular pumps could also be used backhandedly - but this allows single-handed dispensing as well. It seems that a clever low-tech solution can still trump high-tech brute force!